Phantom Crystals or Ghost Crystals – what they are and how they are used. You can tell a Phantom or Ghost crystal by the formation found within the main Crystals body. 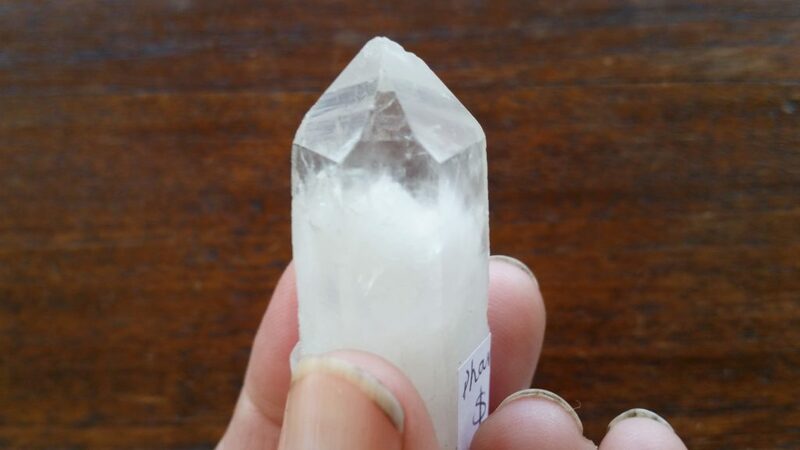 This is just like it sounds, there appears to be what looks like a second crystal growing or forming within the main one. This form is usually comprised of coloured, clear or white mineral and can be either a partial or complete form within the host or main crystal. 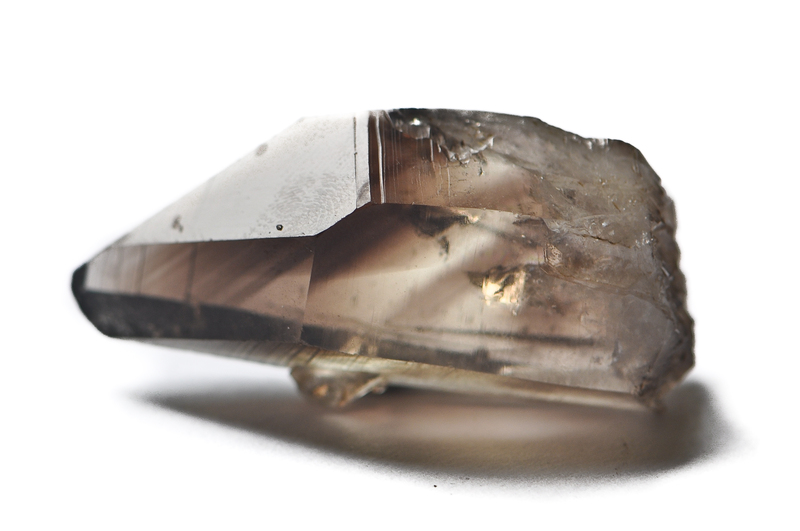 Take for example the crystal shown below, it is a smokey quartz crystal and yet when looked at you can see lines not commonly found within a smokey quartz. These lines give the appearance of a second or ‘Phantom’ crystal growing within the first one. Please don’t make the mistake of looking for this formation in commonly banded crystal like tourmaline or fluorite etc it should be looked for in quartz crystals. Because of their beauty and the unusual formations found within a Phantom Crystal they can be a wonderful stone to meditate on or ‘gaze’ into. When used in mediation it is an excellent tool to assist us with connecting to the higher realms of being: including enhancing our connection to our masters, angles and spirit guides. 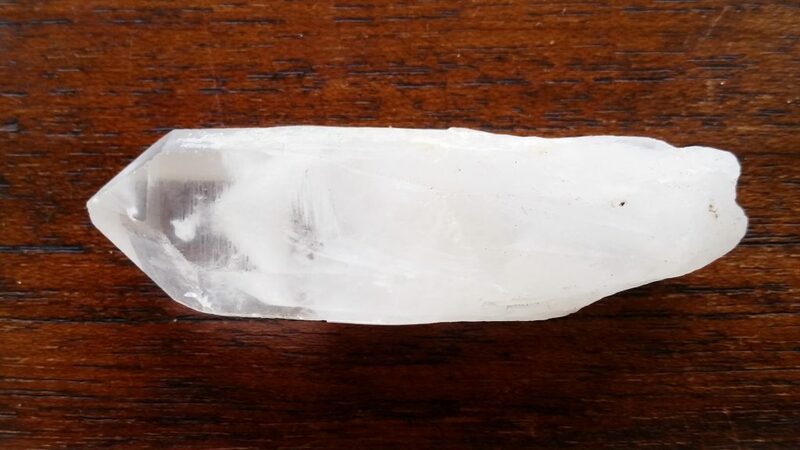 By strengthening your connection to higher vibrational beings you will enhance your personal inner growth and a Phantom Crystal will help you move to a higher vibrational stage. When used the Phantom Crystal will give us a greater link into the universal awareness that surrounds us and will assist us to bring together all aspects of humanity in order to unite the planet and bring it into a higher vibration. This is a fantastic stone for anyone but will be particularly beneficial for people who work towards the greater good of the planet or want to move forward in their personal growth. A Phantom Crystal can be used in all the usually ways – please look at healing properties of the stone it is found in for more specifics uses. A phantom Crystal is not an overly common formation so if you find one please use it and treasure it.